BirdSlide® is a new innovative approach to controlling and eliminating the damage caused by roosting or nesting birds. BirdSlide's® simple but extremely effective design solves the problem of persistent birds that want to nest on a commercial or residential structure. BirdSlide®e creates both a visual and physical barrier that prevents all birds from attempting to land roost or nest. Many wild birds have become accustomed to human habitats and the eaves on a home, the ledges on a building, the angle irons in a warehouse and many other areas provide perfect locations for nesting. 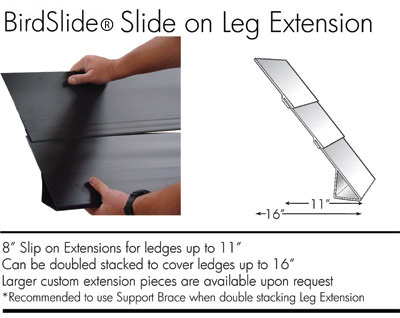 BirdSlide® can be easily installed in these many different locations and will begin working immediately. 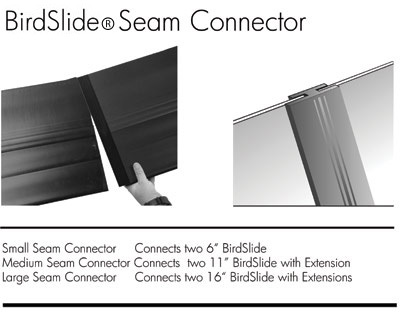 The design physics of BirdSlide® makes it impossible for any bird to gain access to a desired area. 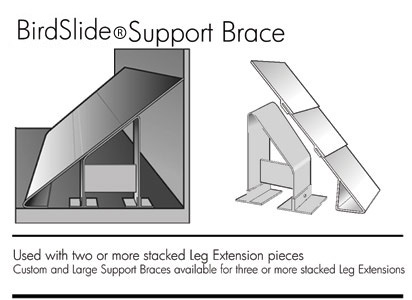 BirdSlide® modifies the structure to eliminate the potential roosting or nesting site. Birds can see that the BirdSlide® barrier has eliminated access and they will not attempt to land. The Birds Simply Slide Off! 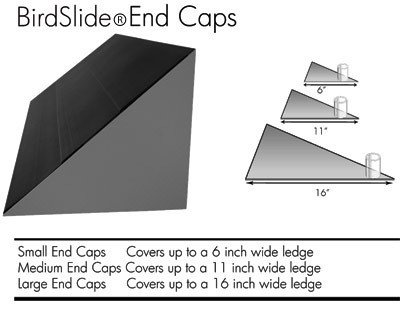 If you have a home or building with roosting or nesting birds, BirdSlide® is made for you. 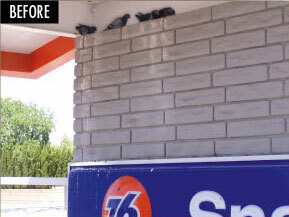 BirdSlide® is designed to prevent birds from landing or leaving their acidic droppings on your structure. Birds attempting to nest on your property can create quite a mess. Eaves, ledges, beams and interior angle irons provide a nice shelter for birds from the outside elements. Unlike many other bird control barriers that are only short term partial fixes, BirdSlide® is a permanently installed barrier that is 100% effective at eliminating nesting or roosting birds. BirdSlide® can be color matched and installed in just a few hours. Many property owners prefer BirdSlide® because it provides a clean finished look that will give you years of "Bird-Free" protection. BirdSlide® is available in a standard gray and beige. BirdSlide® can be painted to match any building color. 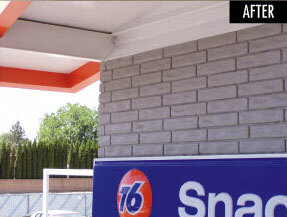 Most home improvement stores provide excellent choices of exterior coat paints that will work well with this product. To achieve a quality well camouflaged result when painting BirdSlide®, preparation is key. You can find a more complete description of painting tips by referring to the BirdSlide® Installation Guide provided with your purchase. 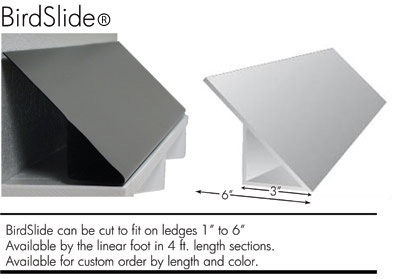 customizing, BirdSlide® can easily fit difficult corners and angles.